For those born in the digital age, a paper copy of business listings may seem something of an anachronism. Why leaf through a telephone directory, when you can search online and get more information at the tips of your fingers? 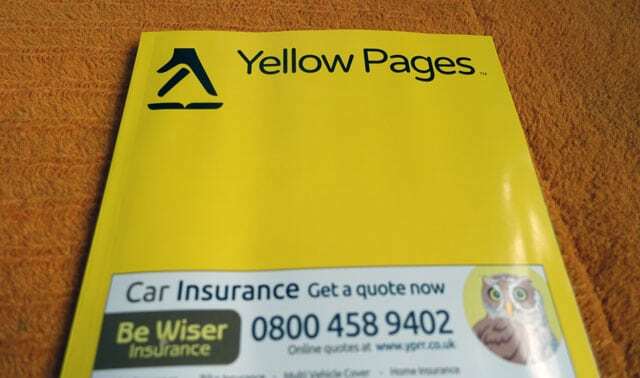 Yellow Pages have announced that their paper directory will cease publication in 2019, and it will be replaced solely by a digital service. I received a copy through the post yesterday. It is very thin compared to the directories I remember as a child. The old Yellow Pages of the 1980s and 90s were huge and voluminous. In a pre-internet age, the Yellow Pages was an essential household item. 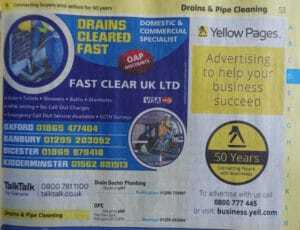 If you wanted to employ a plumber, builder or gardener, you would go to the Yellow Pages almost out of default. The rise of digital search has changed consumer behaviour. WIth less demand for paper versions, companies no longer feel the need to pay for appearing in the Yellow Pages – relying entirely on a digital presence. 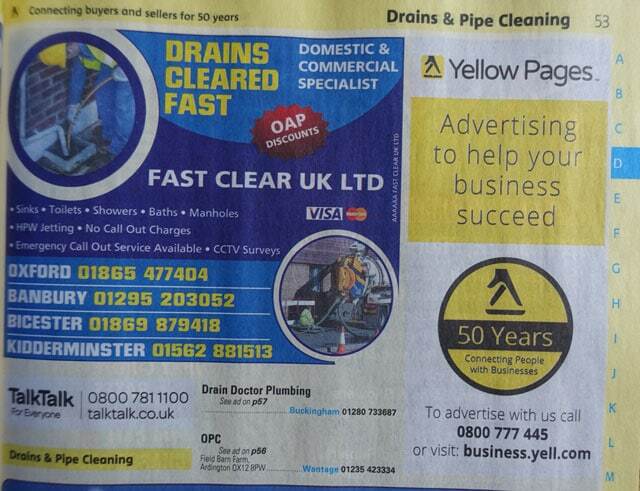 The last copy of the Yellow Pages shows some sectors – builders, plumbers are still strong; suggesting that for certain types of services, some consumers (possibly older people) still value a company that advertises in a traditional way. But, for many other goods and services, demand has fallen faster. It’s hard to imagine the days when you rang up travel agents to find the cheapest aeroplane tickets. The decline of the paper Yellow Pages has been mirrored by growth in online versions. The Yellow Pages company have successfully developed an online repository Yell.com – which seeks to mirror the old functionality of Yellow pages, but with new services, such as an ability to see online reviews and more information than small listings. In terms of creative destruction, the decline of Yellow pages is very mild – the business was able to adapt during the managed decline. Other companies have fared less well. For example, record shops and bookshops have struggled to seamlessly transition to an online presence. Given the ubiquity of search engines, the paper version of Yellow Pages has lasted longer than some traditional media. From one perspective, we could be concerned about employment effects of a business closing down (e.g. people who deliver directories/printers/paper companies) But, in this case, it is easier to see how an equivalent number of new jobs are created in different fields which are taking over the paper industry. Sometimes, technology causes firms to go out of business completely, (e.g. after the rise of motor cars, many train firms went out of business) But, in this case, the firm has successfully adapted to changing technology and consumer demand – replacing paper with the digital version. The move from paper to digital is likely to lead to efficiency gains for the whole economy. Fewer resources are used to have an online directory – rather than the use of paper, transport and the manual labour cost of delivering to 23 million homes. Firms have potentially lower costs in advertising online. It is free to submit to Yell.com. For consumers, there are possible efficiency gains in that online directories have space for more information – such as the ability to review other consumers’ experiences. With the old paper version, consumers were choosing based on alphabetical order. (causing some firms to create names like Aardvark Skips). With an online version, seeing other people’s reviews may give us more confidence and help make a more informed choice. The potential of online reviews may also be an incentive for companies to offer better service to avoid the risk of getting bad reviews. Environmental benefits. There were environmental campaigns against telephone directories – arguing it involved the use of scarce paper from trees. Yellow Pages responded by publishing on recycled paper. But, the carbon footprint of printing and distributing a directory is greater than an online search. Submission to Yell.com is free. However, as a drawback firms have to think about many more online options. Before – there was just Yellow Pages and Thompson Directory, now there are innumerable places on the internet, meaning small and medium sized firms have to become more web-savvy and outsource social media strategies to improve online presence. Reviews can give consumers more information; however, there is a chance of ‘bad reviews’ unfairly damaging companies. The first ‘Yellow Pages’ telephone directory came about in 1883 in Cheyenne, Wyoming. The printer ran out of white paper so used yellow paper, and it stuck. In 1966, the Post Office launched a UK version of the ‘Yellow Pages’. Meaning the Yellow Pages has lasted over 50 years. In the 1980s, a famous ad featured JR Hartley using the Yellow Pages to search booksellers for a copy of his book “Fly Fishing” It became one of the most ‘popular’ ads. In 1991 author Michael Russell wrote and published Fly Fishing, Memories of Angling Days, by J. R. Hartley in 1991 – it became a best-seller. This entry was posted in business, economics. Bookmark the permalink.